The Association of Leading Visitor Attractions (ALVA) announced its members' visitor figures for 2016 today (Monday, March 27, 2017), which saw that 66,938,947 people – more than the total population of the UK - visited attractions in London and therefore it is no surprise that the Top 10 most visited attractions were all London based. Scottish attractions had the greatest increase of 15.6% and overall 130,248,728 visits were made to the top 241 ALVA sites in the UK. The British Museum continued to be the most popular visitor attraction overall for the 10th year running with 6,420,395 visitors and remaining in 2nd place was the National Gallery with 6,262,839 visitors – seeing a 6% increase. 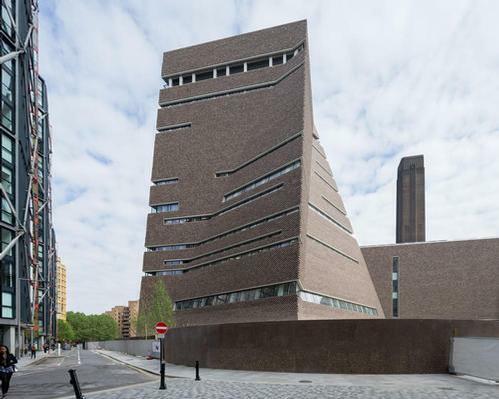 3rd place was achieved by the Tate Modern, which saw 5,839,197 visitors; the Natural History Museum moved to 4th place, and Southbank Centre was 5th – mainly caused by the current closure for refurbishment of Queen Elizabeth Hall, Purcell Room and Hayward Gallery, which re-open in 2018. The Royal Academy credited their 17% increase to several exhibitions including Painting the Modern Garden: Monet to Matisse in the spring and their annual Summer Exhibition which attracted over 229,200 visits. This was the second highest total since 1955 and only the 7th time since World War 1, that they have surpassed 200,000 visitors. ‘Abstract Expressionism’ at the end of the year attracted over 20,000 visitors in just 4 days during the Festive Break. The V&A was in 8th place receiving 3,022,086 visitors. Three of the largest increases in visitor numbers were at gardens & outdoor attractions; Hampton Court Palace (part of Historic Royal Palaces), which saw an increase of 34% and 21 places up on last year’s figures (903,270 & 39th place) – largely due to the opening of the Magic Garden that attracted many families and Royal Botanic Gardens, Kew had an increase of 18.6% (13th place at 1,828,956) following the installation of The Hive from the UK Pavilion at the Milan Expo 2015 and the opening of their Great Broad Walk Borders. The National Trust saw very good growth at many of its properties due to creative events and programming; while The Churches Conservation Trust saw 422,714 visitors to their top 10 properties combined, an increase reflecting the first Church Tourism week and huge popularity of ‘Champing’ (Church camping). English Heritage had an average increase among top sites of 6%. Battle Abbey’s increase of 29% was directly linked to the substantial activity marking the 950th anniversary of the Battle of Hastings, and included the sell-out re-enactment of the battle in October. ALVA’s Members are the UK's most popular, iconic and important museums, galleries, palaces, castles, cathedrals, zoos, historic houses, heritage sites, gardens and leisure attractions. The 70 ALVA members manage some nearly 2,200 tourist sites and welcome over 119 million domestic and overseas visitors each year; some 28% of the visits made annually in the United Kingdom.